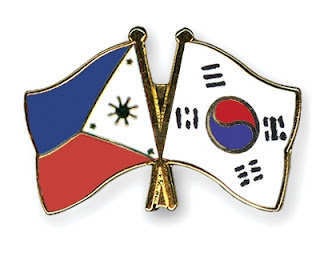 Have you ever wondered why so many Filipinos move to the groove of the Koreans’ catchy tunes? Have you ever asked why their songs are such a hit in this non-speaking Korean country? Have you ever wondered why we accept the Korean pop-group in open arms despite the language barrier? Have you ever ask why in an instant the unknown K-pop group is now popular here in the Philippines? Have you ever have the courage to ask why their songs are so appealing to you and most of the Filipinos? Are you not amazed by the storyline and the production of “Jumong”? Did you fight the yawn every night just to watch the adventures of Jang-geum in the “Jewel of the Palace”? Are you also teary-eyed every time you see Jessie of “Endless Love” weeping? Did you feel unhappy when “Stairway to Heaven” of Jodi and Cholo meet its end? Does your night wasn’t complete if you didn’t watch the cuteness of Justin and Jessie of “Full House”? Aren’t you feeling glee after you have watched the love story of Vivian and Carlo of “Lovers in Paris”? Don’t blame the Koreans for this phenomenon, don’t blame them for the threat of ruining our local industry, and don’t blame them for the madness they have brought. In fact, the Korean actors, actresses, singers and groups doesn’t care if they become famous or not in our country. They didn’t ask for it; we Filipinos welcomed it! Literally, Koreans have “invaded” the Philippines. This is a really funny blog about interesting stuff. Thnx for that!